We support fire departments and other fire safety related organizations with their fire safety efforts. Contact us to let us know who you are and what kind of fundraising that you wish to do. Plan early. Send out brochures or newsletters by mail or email to inform people of your fundraising event. Put up posters in your community. Contact your local media. 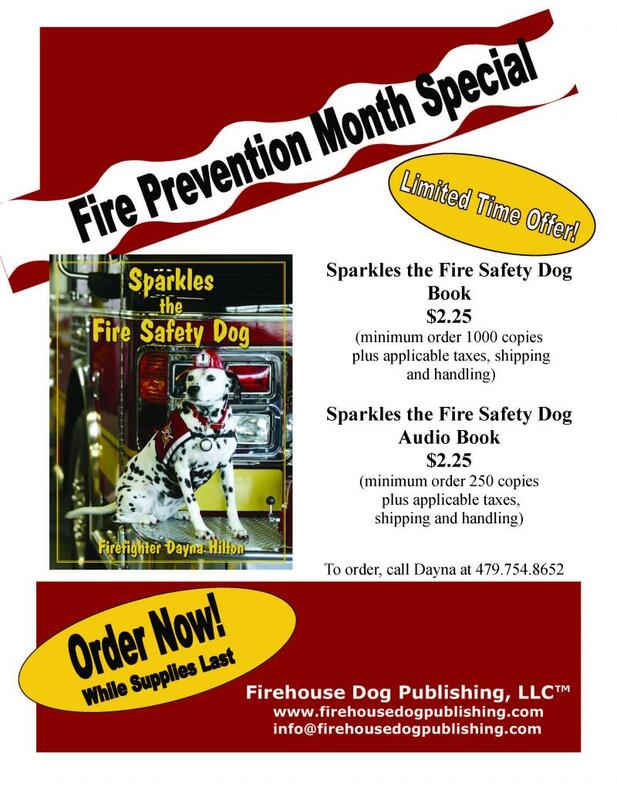 Mention that proceeds of the sales will go toward your fire department's fire safety program. Remember the people around you. Friends and collegues are always looking for the perfect gift for each other's children. Grandparents love to buy books for their grandchildren. Share these books with other parents. Tell them to stock these books for birthday, Christmas and other gifts. Sell these books to schools. Present the books to doctors and dentists who need to buy books for their offices. Approach banks and other local businesses that want to support your organization and build their positive with the community at the same time. Organize an event for your fire department. Consider supplementing it with a fire safety activity. "I can't wait to share it with my two grandkids!"